For many people, a trip to Thailand is a once in a lifetime experience. That’s why many people prefer to make it extremely special and decide to stay in a luxury resort. There aren’t standards when it comes to resorts, even ones that are four or five stars. Sure, there are guides such as Forbes, Mobil, and AAA. They all have a different set of standards to judge the quality of a resort. That leaves it up to you to do the research. How can you be sure your trip is special? Here are 8 ways to know you’re staying at the best luxury resort. What Defines a Luxury Resort? The word luxury has been used so much to describe a certain standard, that the word has become overused. The standard of luxury has since become diluted. Some establishments claim that they’re 5-stars, when in fact, they are far from it. That raises the expectations of resort guests only to disappoint them and potentially ruin their vacation. What makes a luxury resort? It’s a place where you can truly get away from everyday life. Where you can indulge in opulence and have everything you need at your fingertips. A luxury resort will be elegantly designed and beautifully kept. It’s a feast for all of your senses. The feel of the sheets on your bed, the smell of flowers and in the restaurant. The design of the rooms, the taste of the cuisine at the on-site restaurant, the feeling of being cared for by the staff all combine to make your experience unforgettable. 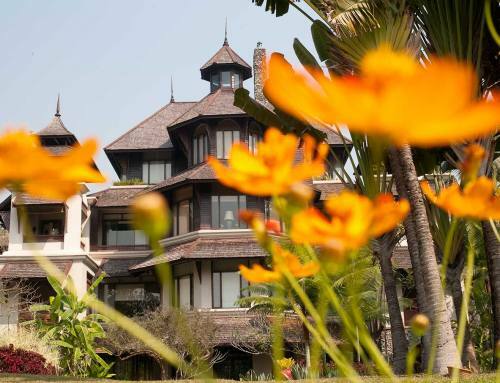 With a luxury resort, you will sense the elegant atmosphere when you step into the hotel. The lobby is beautiful and tastefully designed. The suites in a luxury resort tend to be elegantly designed. There’s a simplicity to them, and they incorporate elements of the local area. The furnishings can be modern or antique, but they are of high quality. You don’t have to spend $80,000 a night on a room to feel special. The staff at the top resorts are interested in what you like and don’t like during your stay. You’re greeted by name as soon as you walk in the lobby. You want room service to show up at a certain time? That’s taken care of. Do you prefer certain flavors or a style of drink? A five-star staff will know that. They’ll also anticipate your needs and attend to you before you even ask. Sometimes when you’re on vacation, you want to be able to withdraw into your own private world. There are resorts that are overcrowded even though they claim to be five-star places. That leaves you with nowhere to go and enjoy the peace and quiet time to yourself. The best resorts offer private rooms and villas that enable you to enjoy private moments with your family. The service at these establishments is also discreet, meaning that the staff is attentive, but not overbearing. Have you ever lost yourself in a resort spa? Most resorts have spas that allow you to rejuvenate and relax and care for your well-being. They offer massages, facials and hot-tubs. What separates the best spas from the rest is the setting. Let’s face it, you can get a massage anywhere, but how often can you get one in a luxurious setting with top-level service? Luxury resorts typically have activities on site. Activities can be either educational or athletic. They can range from golf, tennis, horseback riding, to cooking classes. Golf tends to be in high-demand at luxury resorts. At Lana Thai Villa, guests can enjoy a round at the nearby Summit Green Valley Country Club. Designed by Dean Griffiths and Associates, the par 72- 18 Hole course will challenge any golfer amidst a stunning setting. Top notch luxury resorts understand that their guests might have children with them. With that in mind, they offer activities and clubs just for kids. That gives the parents an opportunity to drop the kids off and have a day to themselves. When you’re on vacation, you want to have someone else handle as much of the logistics as possible. You’re going to want to look for a resort that handles things like airport transfers, especially after a long flight. Once you’re at the resort, enjoy genuine service and the staff that go out of their way to make sure you’re pleased with your accommodations. The staff is available to book activities, arrange for transportation and handle just about any other detail to make your vacation special. All you have to do is ask. In a luxury resort, there will be at least one restaurant where you can dine or enjoy a drink. Of course, you have the option to dine in your room with room service. The restaurants deliver high-quality meals with out of this world service. Some resorts will have restaurants that have different themes or cuisines. At least one will offer a taste of the local cuisine and have high quality, homegrown ingredients. The best scenario for your vacation is to stay in a resort that is close enough to activities, but far enough from everything so you can enjoy quiet solitude. An excellent resort has everything you need and want in creating a vacation of a lifetime. You don’t have to leave unless you want to. And on days you want to leave, there’s plenty to do nearby. 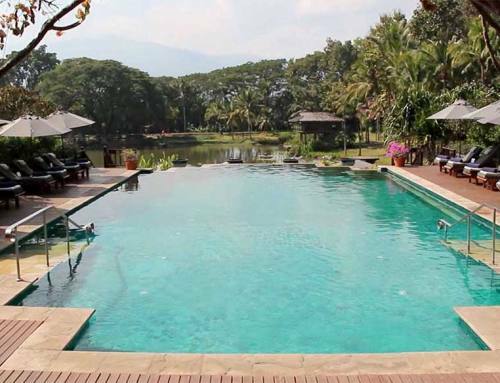 For example, there’s plenty to do in Chiang Mai. Resorts will have at least one concierge on staff who can help you decide on what activities you’ll enjoy. They’ll be able to make arrangements for you. A resort should exceed your high standards. Therefore the top resorts go out of their way to make sure your stay is incredible – from the food to the flower left on your pillow. You won’t want to leave. 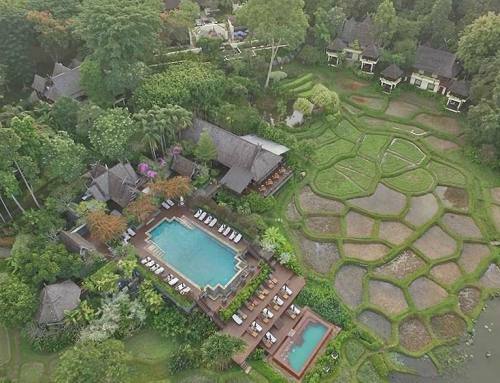 The Lana Thai Villa embodies the meaning of luxury, starting with our landscaped gardens and private villas. We have kids activities, Thai cooking classes, golf, tennis and much more. 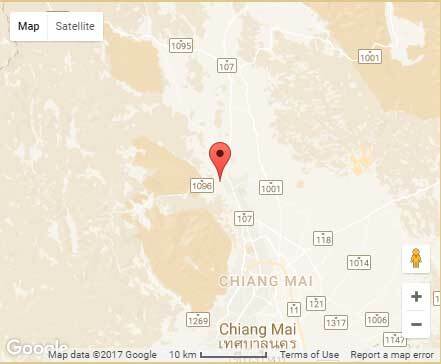 We’re located only 30 minutes from Chiang Mai International Airport.